Rep. Maxine Waters's campaign has pulled in $56,000 this cycle through her "slate mailer" operation, filings show. The mailers are sent out to more than 200,000 people in South Central Los Angeles and contain an "official sample ballot" and quotes from Waters on the candidates or measures she supports. In exchange for placement on the mailer, Waters's campaign committee receives a donation. The payments to Citizens for Waters this cycle range from $2,000 to $12,000 and have come from a handful of California judicial candidates. Waters's campaign has collected the $56,000 from seven committees, filings show. Citizens for Waters, Waters's campaign committee, runs the program. Karen, Maxine's daughter, has collected more than $750,000 in "professional fees" from the campaign since the practice first was given the green light by the Federal Election Commission (FEC). Other prominent California politicians have paid Waters to appear on the slate mailer in the past, including Sen. Kamala Harris, who has paid a total of $63,000 to Waters's campaign and twice appeared on the mailers. The first time Harris appeared on the mailers was on May 5, 2010, as a San Francisco district attorney and running for attorney general in the state. Harris's committee, Harris for AG 2010, made three payments to the Waters campaign throughout the cycle for a total of $33,000. Harris again paid to be featured on the slate mailers in 2016 when she was running for the U.S. Senate. Harris's committee, Kamala Harris for Senate, paid $30,000 to appear on the mailer that cycle. Gavin Newsom, the current Democratic lieutenant governor of California who is now running for governor, paid the Waters campaign $45,000 for his "share" of slate mailers as he was seeking his current position in 2010. Sen. Barbara Boxer paid the Waters's campaign $5,000 that year. The slate mailer practice, which has come under heavy scrutiny in the past, is fairly common in California, Oregon, and other states. 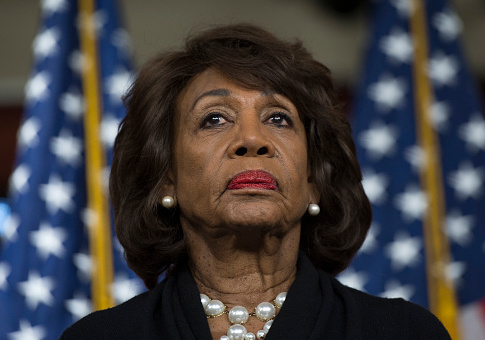 However, it is unique to Waters on the federal level, as she appears to be the only politician running it from their federal committee, according to a search for payments marked as "slate mailers" on the FEC's website. Waters's campaign did not return a request for comment by press time. This entry was posted in Politics and tagged 2018 Election, California, Democrats, Maxine Waters. Bookmark the permalink.